An anthology of Penguin’s best writing on India from the last twenty years: Edna’s first book Holy Warriors was short-listed for the international Index on Censorship TR Fyvel prize and nominated for India’s Ramnath Goenka Excellence in Journalism Best Book Award. 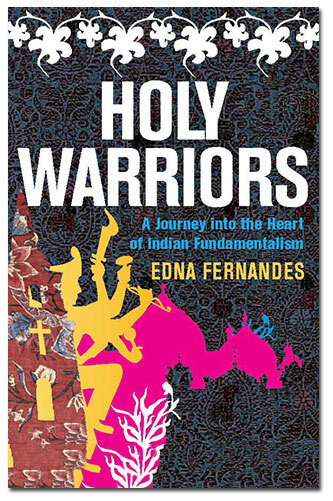 An extract from Holy Warriors is included in Penguin India’s The Non-Fiction Collection. Holy Warriors included in list of Best Books on Asia of the Decade: Adrienne Loftus Parkins, former head of Asia House’s Literary Festival, organiser of the National Portrait Gallery’s Literary Festival and head of Asia Word gives her best books on Asia from the last decade (2009), including Holy Warriors. Some personal favourites on the list include Silk Road by Colin Thubron, Descent into Chaos by Ahmed Rashid, Maximum City by Suketu Mehta and The Glass Palace by Amithav Ghosh.